Beauty & the Bay! 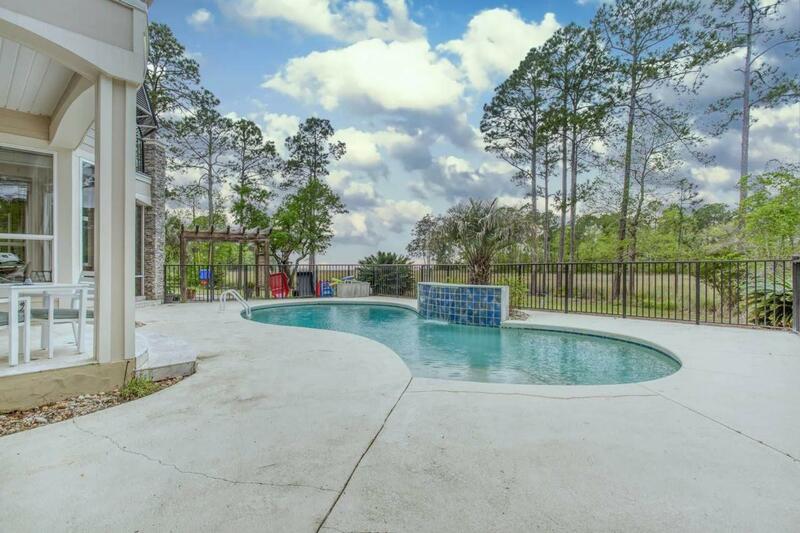 Entertain poolside in your summer kitchen & relax indoors with bay views from every room! Kayak in the Choctawhatchee Bay! Hike in a National Forest! Fish for fun or for trophy! Bicycle along the byways. Freeport, Florida, Walton County, Northwest Florida has it all & just a stone's throw from this beautiful bay view home. A show stopper....you will welcome your family & friends onto your expansive front porch & into this gorgeous bay view home. Meticulously maintained your elegant bayside lifestyle begins here! Nestled in the center of Bay Harbour, Freeport Florida's premier bay front community. 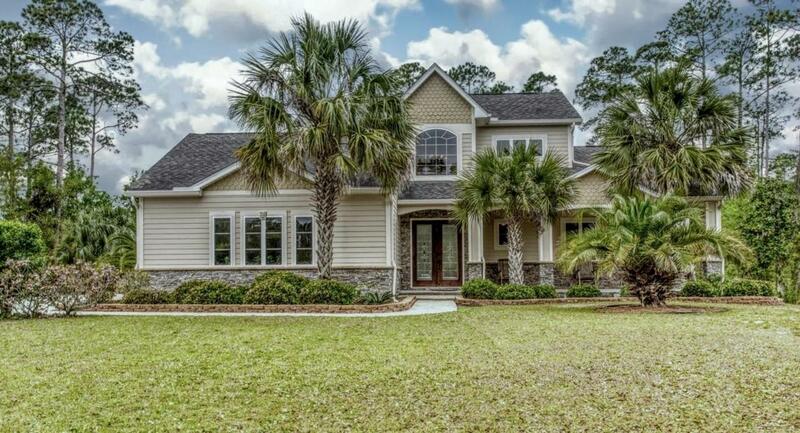 Enjoy the ground floor master suite & open floor plan featuring the chef's kitchen, breakfast bar, hearth living, family, cozy dining & a covered poolside portico.Open every room for expansive entertaining! Soaring windows bathe this newly painted interior in sunlight! Situated onto a .65 acre site, you will enjoy privacy as no building is allowed behind nor across from this home. Enjoy a private balcony from each of the 2nd level guest rooms. Your sound proof office space ensures productivity & relaxation come together as you enjoy your bay side lifestyle. The large bonus room is the perfect space for a "she shed", "man cave", play room or additional guest space " this is an excellent media, exercise or hobby area! Features include: an oversized garage with workspace & storage, whole house gutters, newly installed insulation, fresh paint & carpet. Bay Harbour amenities include hiking trails, boardwalk to the bay, fishing pier & covered dock, tennis courts & gated storage for RV's & watercraft. 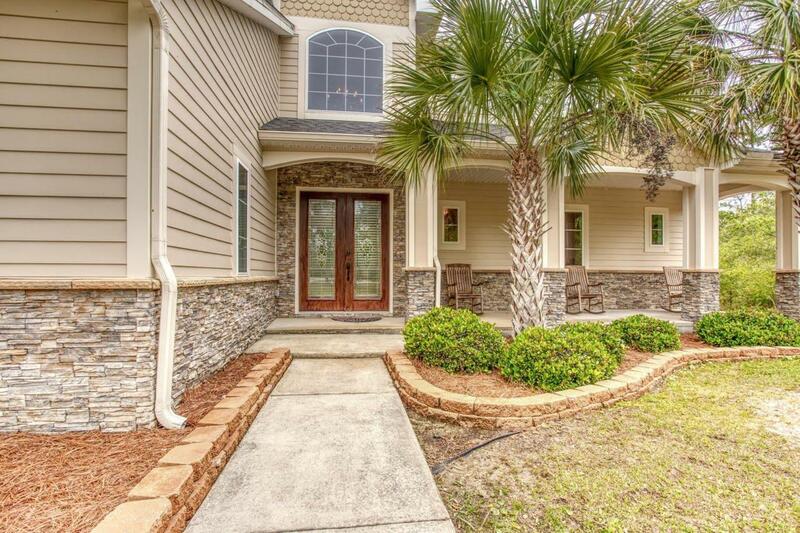 Conveniently located minutes from The Beaches of South Walton County, Florida & Scenic County Hwy 30A, in the fast growing community of Freeport, Florida, this home is a must see!